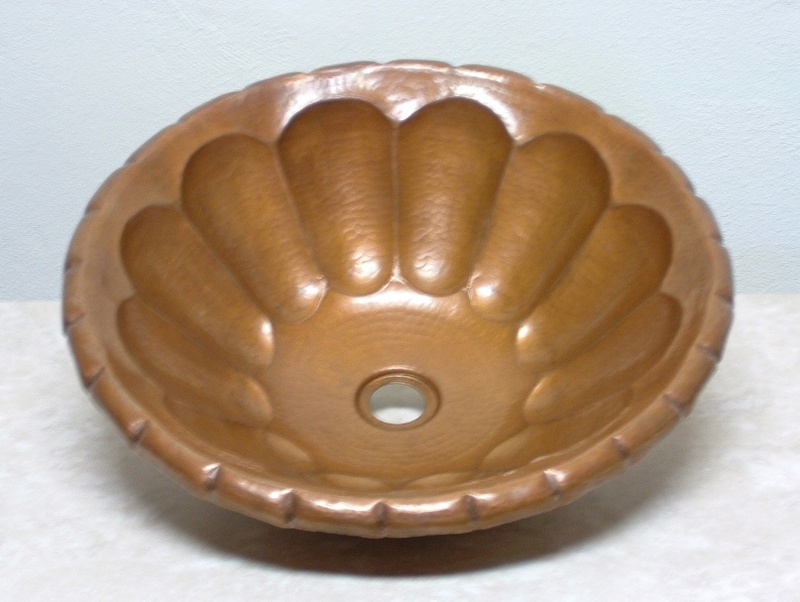 Our medium patina finish both accelerates and slows the natural darkening process that is characteristic of copper. This warm, medium patina finish gives your bathroom sink, vessel sink, kitchen sink, bath tub or accessory a beautiful and immediate weathered or 'aged' look and feel. 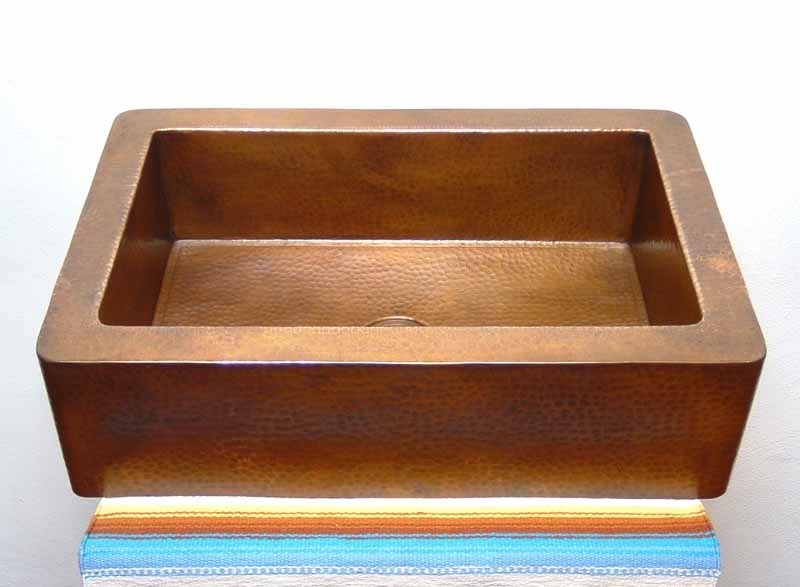 Copper sinks and tubs finished in this manner will continue to experience a very slow and gradual deepening in color over the years as they react to everyday use and the changing environmental conditions within your home. You'll be delightfully surprised as you experience copper's 'living finish' influence and see them gradually change in tone right before your eyes! They become all the more beautiful with each passing day. Just as no two hand-crafted pieces ever turn out exactly alike, the same holds true for the patina finish. As illustrated above, each copper kitchen sink, bathroom sink, vessel sink, bath tub and accessory 'takes' the patina differently and ends up falling within a wide range of tones from lighter to darker, within the same Medium Patina Finish category. (For a larger view of each item, click on the individual photo then use your browser's back button to return to this page). You'll love the fact that copper kitchen sinks, bathroom sinks, vessel sinks, bathtubs and accessories completed in the Medium Patina Finish require very little maintenance. They will retain their beautiful color and condition for years on end with no effort on your part! 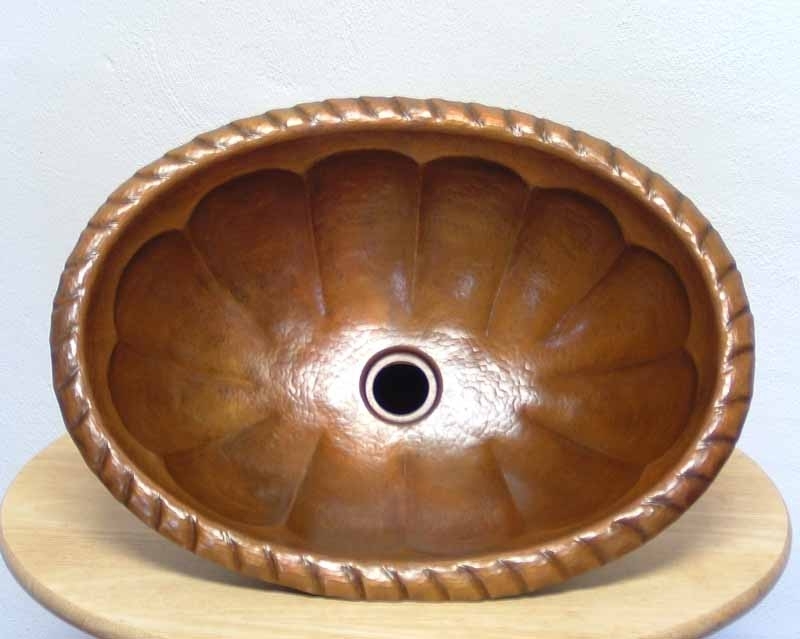 Be sure to click on this link for detailed information about caring for your copper sink & bath tub and discover just how easy it is to live with copper!